Police are appealing for witnesses to a robbery in Milton Keynes. 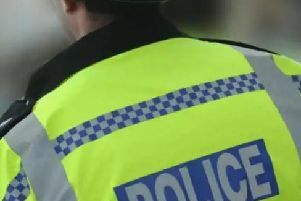 The victim, a woman in her sixties, was walking over the footbridge from Fishermead to Eaglestone when a woman demanded she handed over her holdall at around 12.30pm on Friday (August 24). The offender tried to pull the holdall from the victim but didn’t manage to take it so she tried to pull the victim over, the victim has then managed to hit the offender in the face which caused her to run away. The offender is a white woman in her thirties, 5ft 2ins tall of medium build with black hair. She was wearing dark sunglasses, a dark sleeveless jacket, a dark coloured jumper and dark coloured jeans. Investigating officer detective constable Edward Blackburn said: “This was a distressing incident for the victim who has been left shocked and shaken. “Fortunately, she wasn’t badly hurt and nothing was taken, but this could have been much worse. “It was the middle of the day just opposite some local shops so we believe there is a potential for a number of witnesses.